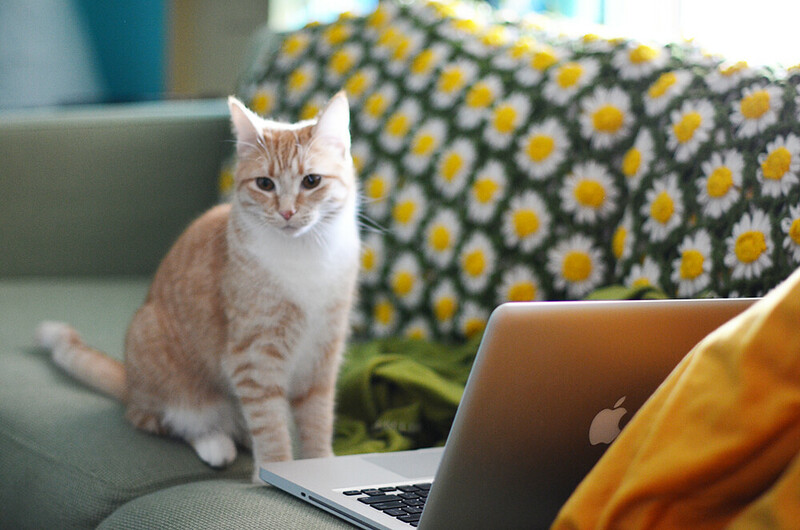 98/365 :: Pinny checking out her favourite blogs. 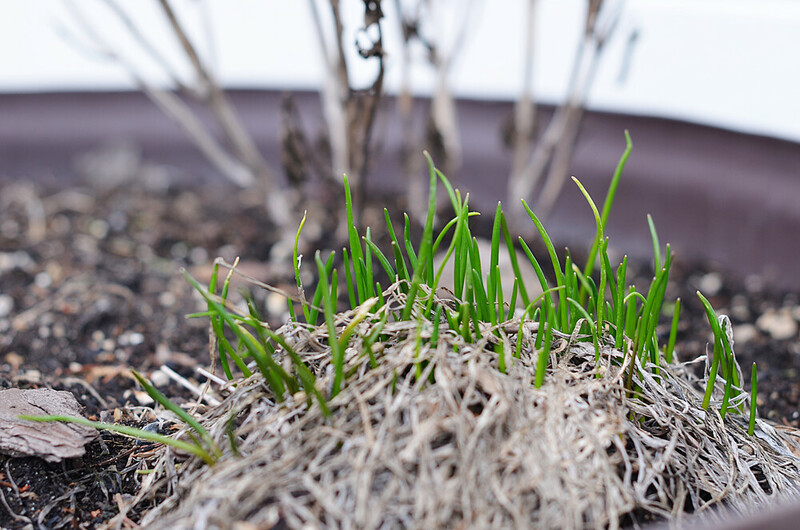 99/365 :: New chives growing where the old ones died last year. It's so nice to see some green poking through. 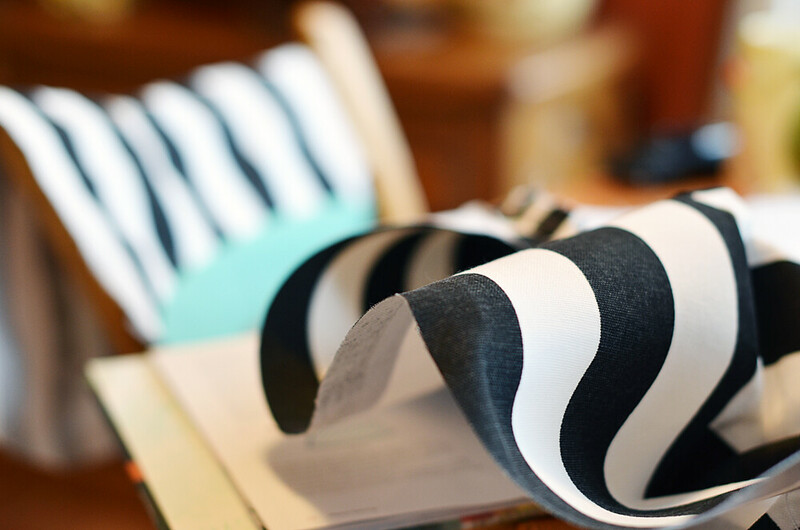 100/365 :: Making some progress on my diaper bag over at Andrea's house. 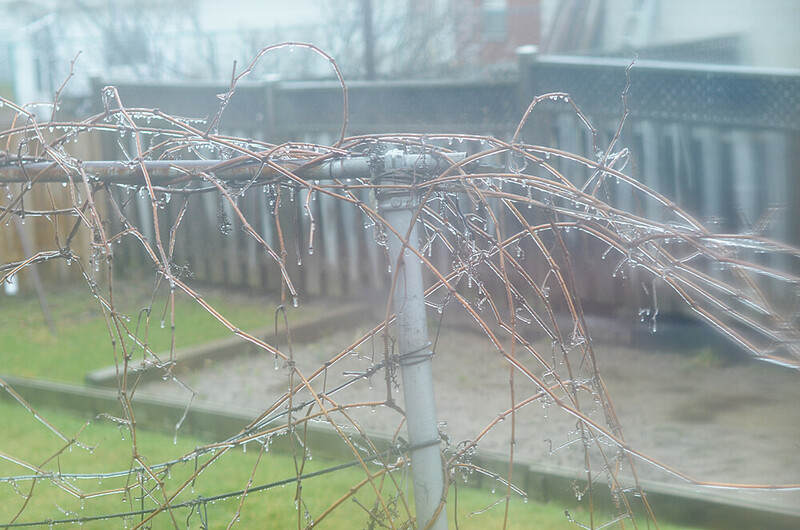 101/365 :: Definitely not a fancy photo but I wanted to document the day in April when everything was covered in ice. 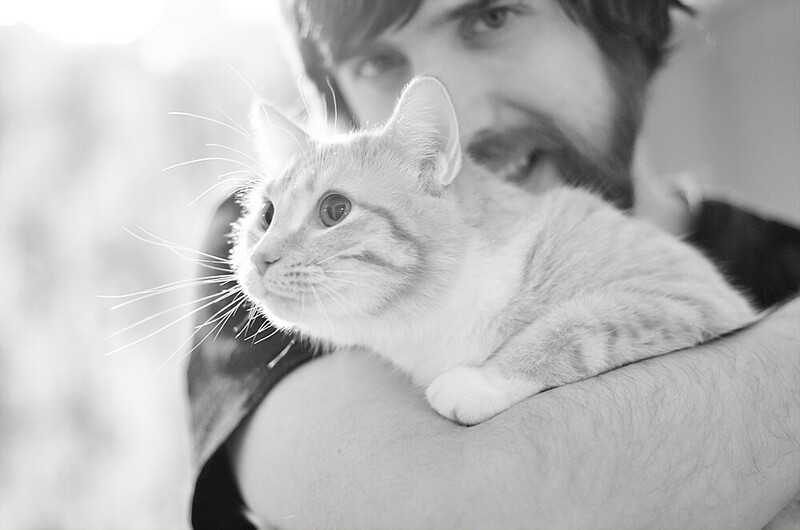 102/365 :: I love these two. 103/365 :: We are currently painting the baby room (well...it's been a work in progress for just over a week now) so some things are just randomly sitting around the house. Rollerskates in the kitchen are normal right? 104/365 :: A grumpy/sad looking Farva. I am so happy to say that it is currently sunny and it is supposed to be warmer today! I'm definitely going for a walk later to enjoy it. I hope everyone had a great weekend! Did you get up to anything fun? Oh Farva looks so melancholy! My heart! The photo of the chives growing looks amazing! 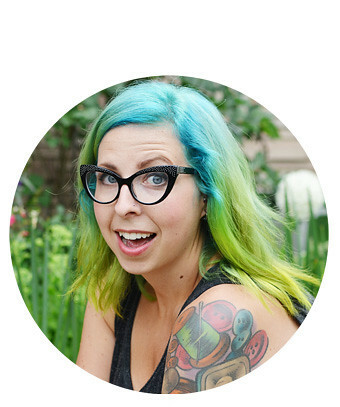 I love all the photos you take! 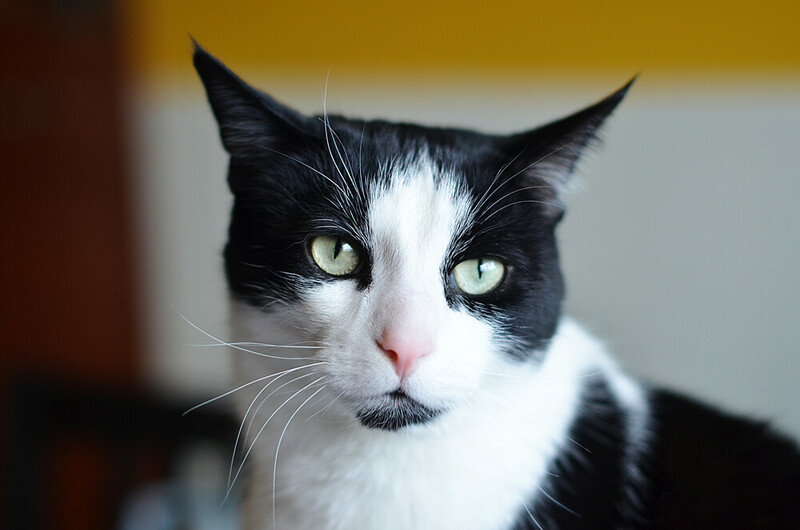 I love your cat's photos! They're so photogenic! I wish my kitty was as photogenic as yours are... Logan runs away from the camera and turns his back on me! I always LOVE your cats... they are always so adorable! 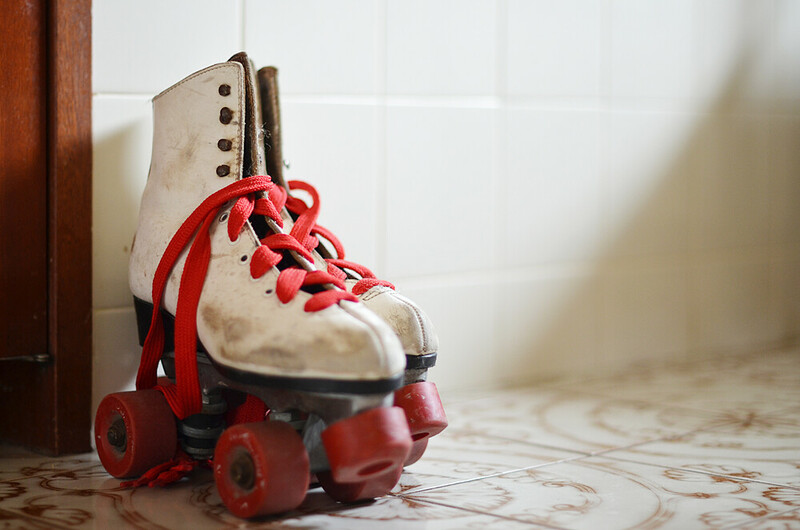 And as for the roller skates, I would totally say that's normal (especially since their cool roller skates!) ;). That ice storm was kind of crazy. I went for a walk after and I thought there was broken glass in the driveway... nope, just ice from the tree above.